Click here to download a source sheet on Shabbat. What is the connection between the Jewish Sabbath and the environment? In modern society, we are running, speaking, and thinking at an exceptional rate, and oftentimes we continue all week long without slowing down. Constantly doing, always mobile accessible, habitually multi-tasking. We can get so caught up in the doing that we could spend our whole lives on the go. If being too busy is a malady of modern man, slowing down on Shabbat may be a key remedy. The Torah teaches, "These are the things that the Divine commanded to make. Six days work may be done, but on the seventh day you shall have sanctity, a day of complete rest to God." Achieving sanctity and complete rest is the stated goal of Shabbat. Yet how can this happen? One key source may provide instruction to help us find spirituality and uplift our relationship to the created world. The Talmud understands these verses in Isaiah to be referring to specific acts. The Prophet Isaiah's use of the the word "Az," meaning "then" or "consequently," links several practices to coming to a state of rejoicing with God (oneg). What are these acts that lead us to a place of spiritual joy, and how can they help us become more attuned to the created world? Speaking: The Prophet Isaiah also speaks about honoring Shabbat “by not … speaking words.” Based on this verse, the Talmudic Sage Rabbi Chanina teaches that the rabbis reluctantly permitted speaking on Sabbath, and the rabbis forbid speaking on Shabbat about work activities one might do in the future. What is the connection between speech and oneg Shabbat? Conscious speech fosters being present. On the Sabbath, some Jews only speak in the present tense, or refrain from making future plans. Shabbat reminds us about being present in the moment, a challenge in today’s hectic world. Imagine such a reality: one day a week totally free of mundane work thoughts. Many Jews who observe Shabbat find this exceptionally difficult—their consciousness on Shabbat becomes ‘flooded’ with just such thoughts on Shabbat. How can one achieve such a state of being? First, walking slowly and not talking about work or the past or coming week help to create a sacred space. Then, prayer, community, and silent contemplation also generate inner quiet from which “quiet mind” can emerge. Every week, Shabbat gives us an opportunity to check in with ourselves about how we are being. And Shabbat can remind us that we are first and foremost human beings, not just human doers. Rabbi Daniel Kohn, who teaches at the Sulaam Yaakov rabbinical program in Jerusalem, states that “Our natural soul state is one of rest. By our spiritual nature, we are one with God, who is total Presence and Being. Shabbat is about Jews returning to the blissful consciousness of Oneg. Shabbat is the place of constant access to the quiet, to the perfect rest in the bosom of God.” In addition to conscious movement, speech, and thought, Rabbi Kohn encourages the spiritual practice of meditation and quieting on Shabbat as a means of reaching true oneg. Rabbi Samphson Raphael Hirsch, writing in early 19th century Germany, sensed the profound relevance of Shabbat for industrial society. He exclaimed, “Sabbath in our time! To cease for a whole day from all business, from all work, in the frenzied hurry-scurry of our time! To close the exchanges, the workshops and factories, to stop all railway services—great heavens! How would it be possible? The pulse of life would stop beating and the world perish! The world perish? On the contrary, it would be saved.” About 200 years later, a New York Times Magazine article commented about lifestyles in the United States, “A nation of remarkably productive, often well-paid workers… are becoming increasingly reluctant to pause from their labors and refresh their souls.” Israel, among 180 countries in the world, ranks as number four in terms of having the largest number of people working 60 hours a week or more. Today we live in a society which is constantly doing without sufficient regard to being, and at the same time, transforming the natural world without taking time to reflect on the long-term consequences. 'Work hard, play hard.' This saying highlights two key drivers of environmental degradation: production (work), and consumption (play). The society that rests and reflects the least is the same society that extracts and consumes the most. This mastery of the earth without sufficient contemplation of its consequences has extincted species, altered the climate, and polluted the air. Shabbat as a spiritual practice offers great potential to reduce consumption and thereby benefit the natural world. The act of shutting off a computer or car for a day contains environmental meaning far beyond the energy saved from not using these devices for one day. One day a year in Israel— Yom Kippur—a significant percentage of Jews refrain from driving cars. Air monitoring stations run by the Ministry of Environmental Protectoin report major improvements in air quality levels, especially in regard to nitrous oxide, a motor vehicle pollutant. When the Jewish people rest in Israel, human health and the natural environment benefit. The deeper significance of the act centers on the reorientation that can occur from outward focus to inward focus, from reading from screens and Blackberries to reading from scrolls and books, from communicating via technology to communicating face to face. Shabbat offers the gift of weekly buy-nothing, cell-phone free days without checking email or sitting in traffic. Shabbat is also a time for desisting from actively using industrial technology, doing business, and making acquisitions. The Jewish laws that relate to Sabbath observance also apply to holidays like Passover and Sukkot, such that about two months, or one-sixth of the year, are meant to be free of commerce and technology use. Without cell phones, stores, and cars to occupy our time, we are meant to turn inward—to our community, family, and self. Two months a year in such a state can have a profound effect on a person. For example, scientific studies have shown a connection between resting the brain from digital input and improved learning, memory, and idea formation. Rabbi Kalonymous Kalman Shapira, the Piasesna rebbe (Poland, d. 1943), teaches that spiritual pleasure is the answer to the draw toward physical pleasures experienced in particular in the modern world. Thus when we celebrate Shabbat with a true experience of oneg, our desire for consumption will naturally decrease. Explaining this teaching, Rabbi Kohn comments that the human being is driven by pleasure, but notes that the most pleasurable thing a person can experience is pleasure with God. Such an experience is not only gratifying, but should leave a person more inclined to help others. Shabbat can create holy space in our lives and inner peace in our selves to reveal the sanctity that can get hidden by the stress of day-to-day life. By moving us from incessant doing to the pleasure of being present with the Source of all existence, Shabbat can transform our lives. We will then become more aware of our surroundings, and take better care of God’s creation. 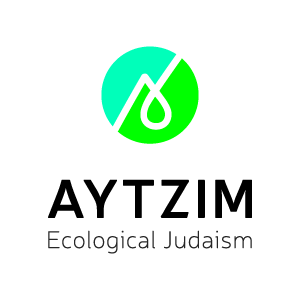 Let us connect to this potential for renewal and rejuvenation and help bring tikkun olam, repair of the world, to ourselves — and our planet. Babylonian Talmud, Tractate Shabbat, p. 113a-b, Soncino translation. Aruch Hashulchan, Orech Chaim 301, section 43-4, based on Shulchan Aruch and Rama to Orech Chaim 301:1. See also Magen Avraham there. Midrash Tanchuma, Parshat Bereshit, Siman Bet. Shulchan Aruch 307:1, and Shemirat Shabbat KaHilchatah chapter 29:59. Rashi to Exodus 20:8, commenting on the Torah's instruction in this verse to “perform all your labor” in six days. Thoughts are also significant in another area of Shabbat observance. In Jewish law, an object becomes defined as ‘off-limits’ (Muktza) to a person when a person’s mind has been removed from that object (hesech hada'at). Oral class given September, 2009 at Yeshivat Hamivtar. “The Jewish Sabbath,” in Judaism Eternal. New York Times Magazine, “Vacation: All I Never Wanted,” Walter Kirn, August 5, 2007. Nir Hasson, “Experts: Israelis among most overworked people in world,” Haaretz, 2.24.09. The countries above Israel are South Korea, Japan, Mexico and (for women) the United States. While many of the companies in this council do not have a long history of significant commitment to sustainable practices, they have discovered that sustainable economic activity is both profitable and environmental. Within traditionally-observant households, the energy savings of not driving or cooking are somewhat offset by practices like leaving lights or food-heating appliances on all of Sabbath. The prudent use of timers is one way to reduce unnecessary energy use on Sabbath, although even when using timers more energy is usually used than is often needed, due to setting the timers for a range of time beyond when a person actually benefits from the lights or appliance. Rabbi Kalonymous Kalman Shapira, Derech Hamelech, p. 244, teaching on Shabbat Tshuva. Keter (crown), the highest sefira (spiritual emanation), is the place of Oneg.